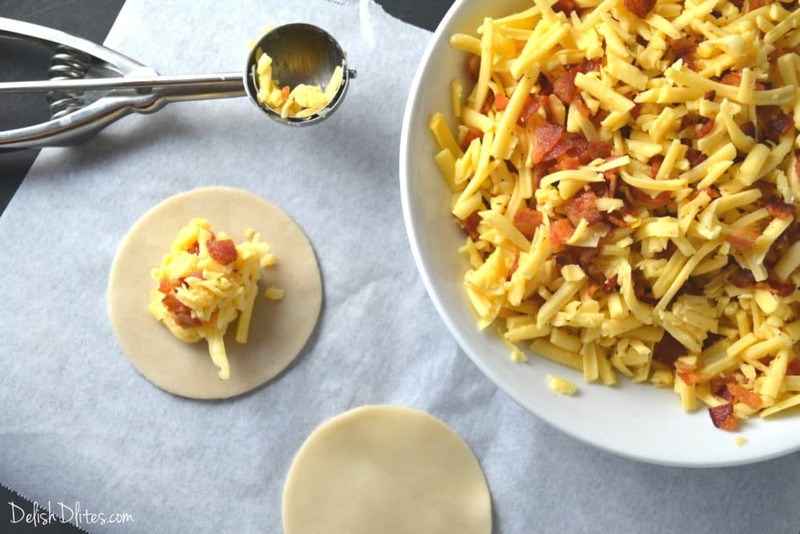 Empanadas are the ultimate food for game day, and these bacon and cheese empanadas are simply outrageous! 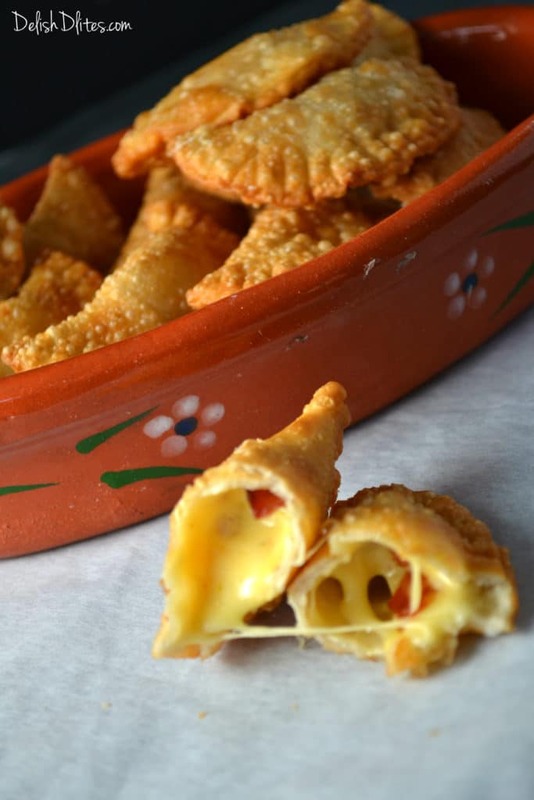 These tasty treats were inspired by my recent travels to the island of Curaçao, where Gouda cheese reigns supreme. 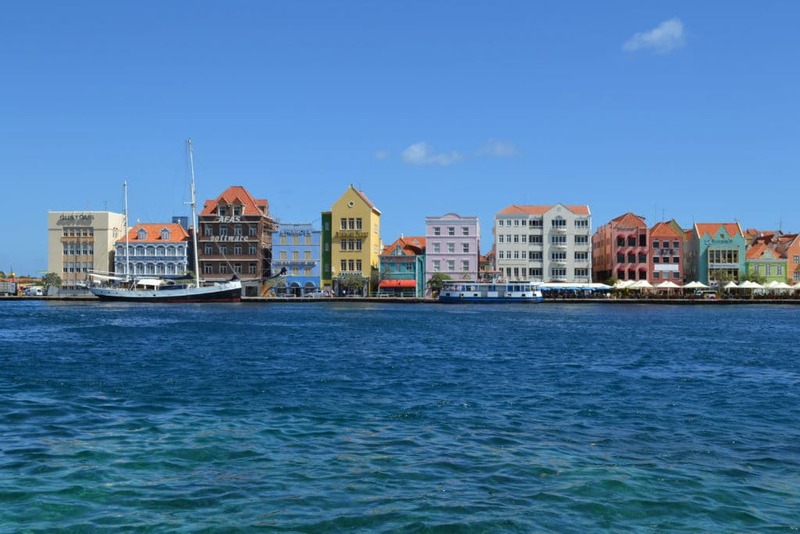 Curaçao is a gorgeous place in the Caribbean, and it’s part of the Netherlands Antilles. As you might imagine, Dutch culture has had a tremendous influence on the island, with the architecture, language, and the food. 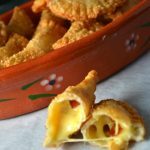 I had some delicious Gouda cheese empanadas, and I knew I had to recreate them at home, and make them even better. 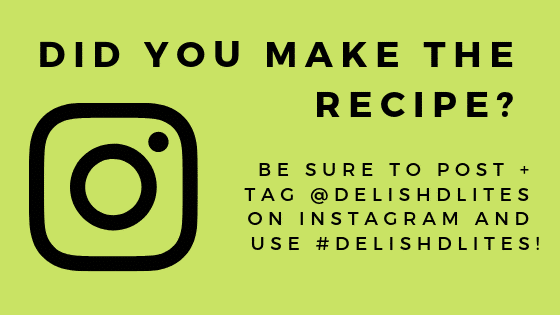 How do you make anything better? 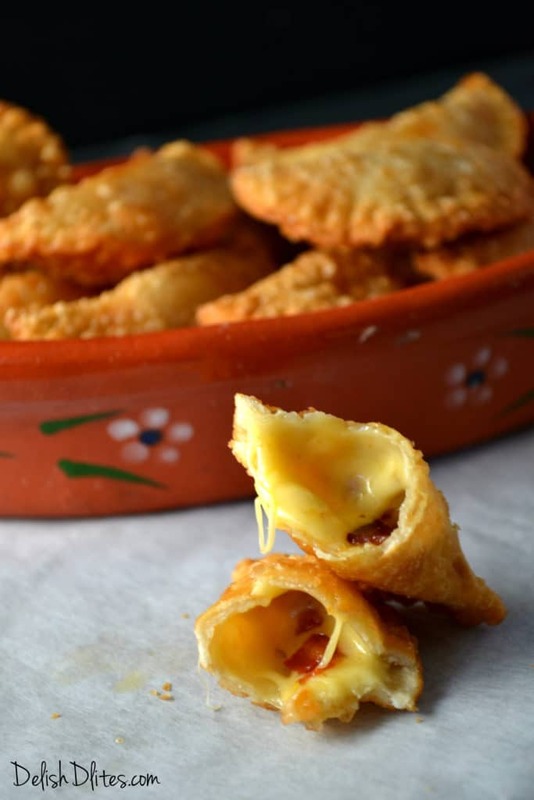 These delicious empanadas are smokey, cheesy, ooey, gooey, omg…they’re soooo good! Don’t blame me if you find yourself making these, like, all the time. They’re just that good. 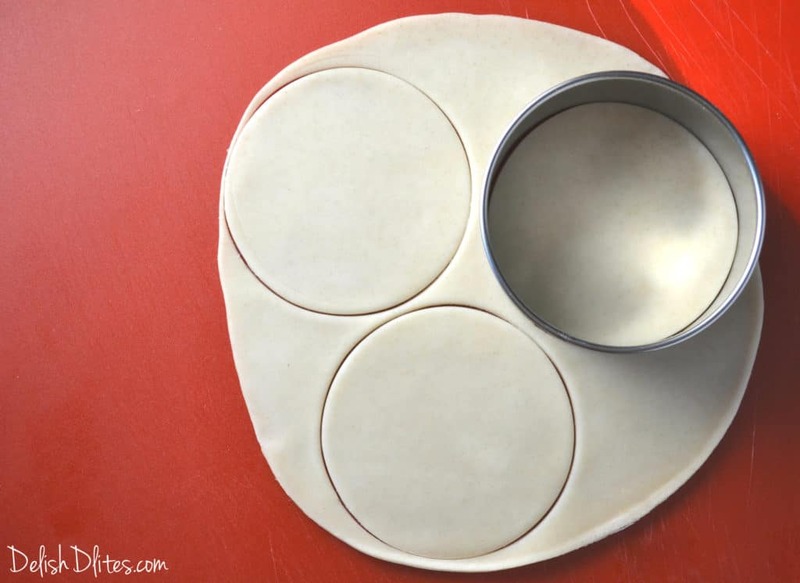 Use a rolling pin to roll out each empanada disc to about 1/4 inch thickness, then use a cookie cutter to cut out 3 small circles (I use a 3 1/4 inch cutter). 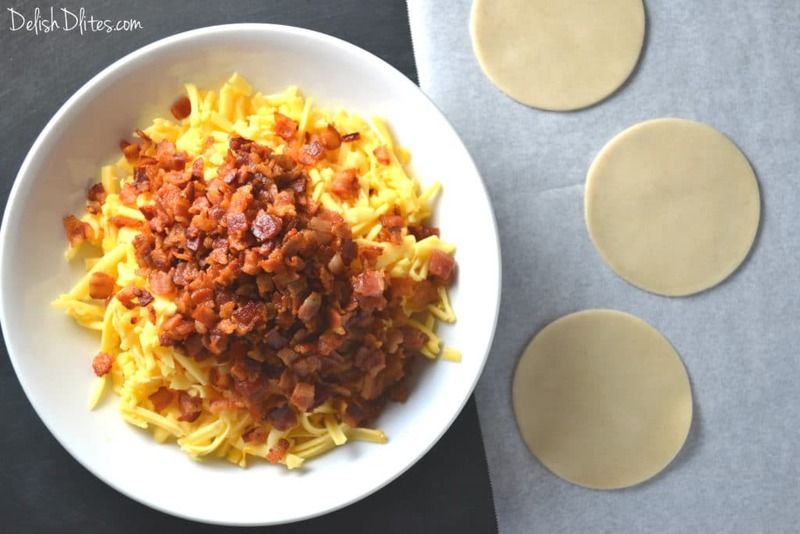 Mix the bacon and shredded cheese in a bowl. Place about 2 teaspoons of filling into the center of the disc. 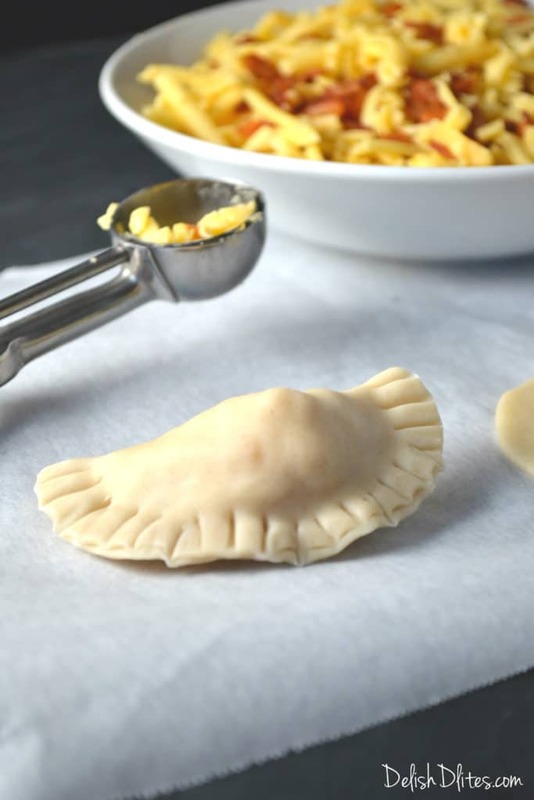 Fold the empanada in half and seal the edges with a fork. 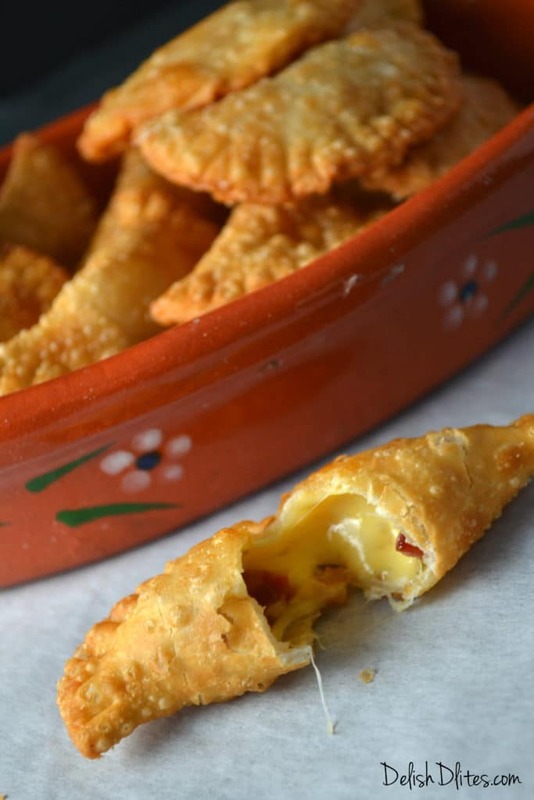 While you form the empanadas, heat about 2 inches of canola oil in a frying pan. 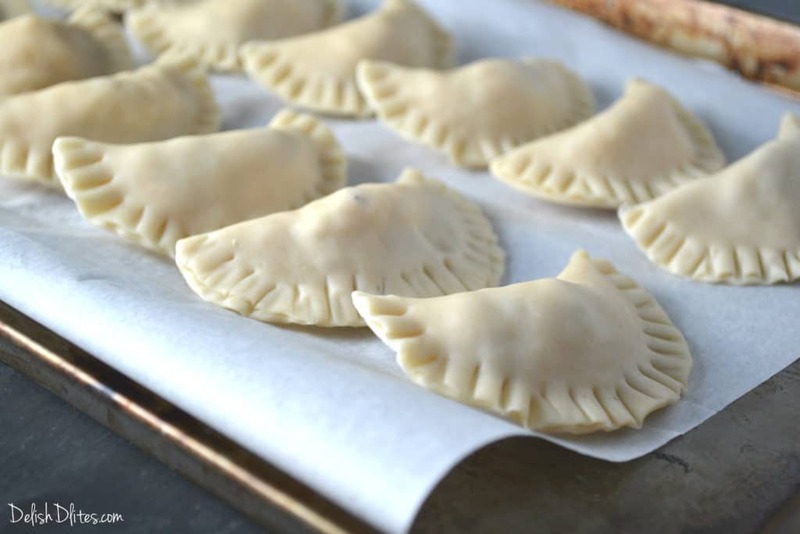 Cook the empanadas for 2-3 minutes, until golden brown. Drain them on a paper towel, then serve. 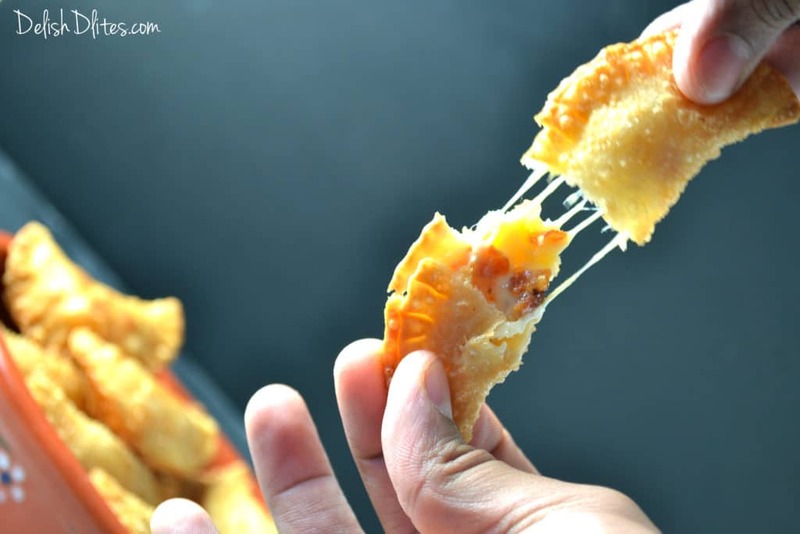 And be careful, that gooey cheese is super caliente! While you form the empanadas, heat about 2 inches of canola oil in a frying pan on medium heat. Where can I find the disc? 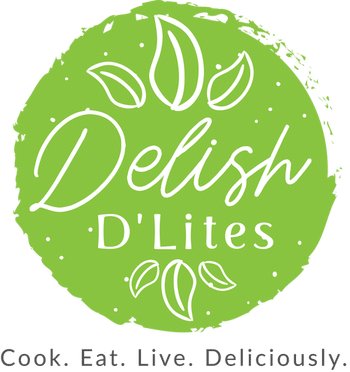 Do have a recipe to make them myself?